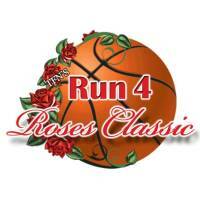 TFN's Run 4 Roses began in 2006 with 29 teams in Louisville, Kentucky. "The Roses" as it is called by many, has become the most competitive and widely attended female exposure basketball tournament in the United States. Over 9,000 young players will converge upon Louisville this Summer from 46 States and 3 Countries to play in front of over 1,000 college coaches/evaluators. TFN's Run 4 Roses will be housed "Under 1 Roof" at the Kentucky Exposition Center utilizing over 81 courts all in the most unique set up girls basketball has ever seen. Girls basketball will never be the same!